RS stocks a large range of laboratory equipment. You'll find beakers, flasks, jugs, pipettes and scoops as well as ultrasonic cleaning tanks and accessories, many of which are RS Pro, to help you cut the cost but not the quality. 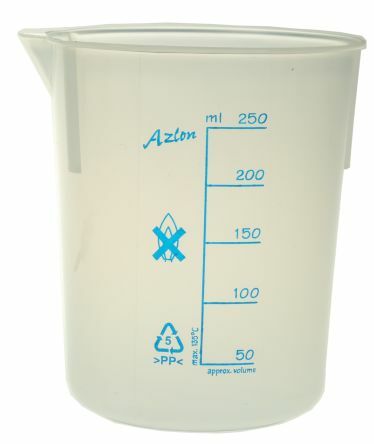 Stackable, tapered beakers made from high clarity PPClear printed blue measurement graduationsDesigned to withstand temperatures up to 120°CNon-drip spout for easy pouringCompliant with ISO 7056. 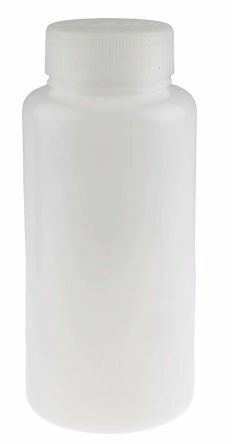 Distinct printed mm, fl oz graduationsAuto-clavable with leak proof PP capLarge white marker for easy labelling. 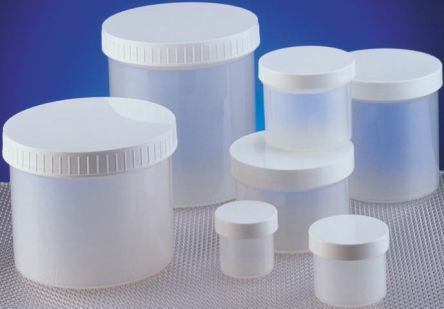 Translucent rigid and leak-proof HDPE bottles with PP screw caps Screw caps have non-stick feature and open or close in less than 1.5 turns Suitable for a wide range of storage and sampling tasksExcellent general chemical resistance. Useful autoclavable wide neck containers with liner-less screw capsExcellent chemical ResistanceIdeal for storing samples, powders etcImprinted with SPI recycling codes.